The definition of a planet approved by the International Astronomical Union in 2006 demoted Pluto to “non-planet,” thus dropping the consensus number of planets in our solar system from nine to eight. “The change – a subject of much scientific debate at the time and since – made no sense,” said Runyon, lead author of a paper set to be presented next week at a scientific conference in Texas. Icy, rocky Pluto had been the smallest of the nine planets; its diameter under three-quarters that of the moon and nearly a fifth of Earth. 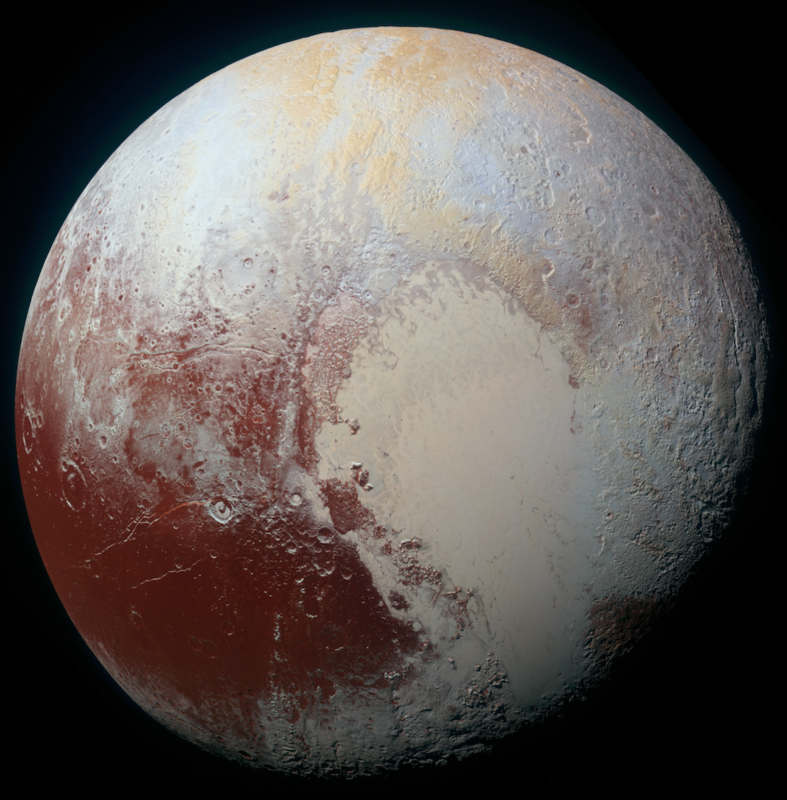 Still, says Runyon, Pluto “has everything going on on its surface that you associate with a planet. … There’s nothing non-planet about it”. Runyon led a group of six authors from five institutions in drafting a proposed new definition of “planet,” and a justification for that definition. All the authors are science team members on the New Horizons mission to Pluto, operated for NASA by the John Hopkins University Applied Physics Laboratory. In the summer of 2015, the New Horizons spacecraft became the first to fly by Pluto, some 4.67 billion miles from Earth, passing within 8,000 miles and sending back the first close-up images ever made of Pluto. Runyon and his co-authors argue for a definition of “planet” that focuses on the intrinsic qualities of the body itself, rather than external factors such as its orbit or other objects around it. They define a planet as “a sub-stellar mass body that has never undergone nuclear fusion” and that has enough gravitational heft to maintain a roughly round shape. This definition differs from the IAU definition in that it makes no reference to the celestial body’s surroundings. That portion of IAU’s 2006 formula – which required that a planet and its satellites move alone through their orbit – excluded Pluto. Otherwise, Pluto fit the IAU definition: It orbits the Sun and it is massive enough that the forces of gravity have made it round.